Those of you who follow me on twitter and facebook might have already heard about, but I haven’t made the announcement on my blog yet. I am starting my own blog tour organizing business. It will be called Lola’s Blog Tours. I will be organizing Cover Reveals, Blog Tours, Blitzes and Review Only events. I am currently working really hard to get the site ready and there is so much work to be done around it. I decided to host my site with wordpress, so there also is a lot of figuring out how it works. I even bought a wordpress for dummies book. Seriously some days I wonder why I have started this, but I am also really excited! Sadly I am not getting much reading done these days and it seems like I just keep getting more and more review books. Or I go to Netgalley and request a few more. I know some bloggers post on their site that they aren’t accepting more review books in such a situation, but I just can’t do that. Imagine that I would miss a great book, because I say I am not accepting books for review anymore. Nope sorry I can’t risk that. This week my boyfriend and I went to shopping and having lunch with some friends in a city nearby and we had lots of fun. We ate at one of our favourite stores that sells delicious jacketz (we make sure to visit at leats once a month). And I got some awesome purple/pink dice from my friend, to use for my character in a D&D session we recently started (Dungeons and Dragons, it’s a tabletop roleplaying game and lots of fun). My character in that session has purple hair, so these dice fit her perfectly. I watched the Last Unicorn movie really often as a child and I recently found out it was based on a book, so I am really excited to have the book now. – Caged Tour wide giveaway! I remember that they made a cartoon adaptation of this book. I like the cover for it. Sounds interesting. I loved the cartoon adaptation, I watched it so often as a child and recently rewatched it and it was so nostalgic. I really like the cover for the book and I hope the book answers some questions that the movie didn’t. 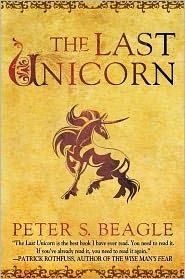 I didn’t realize The Last Unicorn was a book. I’ll need to check it out. Good luck with the Blog Tour Business! Thanks :). I never realized how much effort starting a business like this would be, but it also is lots of fun and excitement. I didn’t realize The Last Unicorn was a book until I rewacthed it some time ago and then found out it was based on a book. I just had to read the book, I loved the movie so much as a child and when I rewatched it some time ago I noticed there are quite some things that don’t get explained elaborately and some questions that aren’t answered, so I am hoping the book will cover that. Good luck with the Blog Tour Business. Happy reading. Congratulations on the blog tour business! I hope everything goes really well for you. If there is anything I can do on Twitter or my blog to advertise your new business, just get in touch. Good luck! Thanks a lot :). I really appreciate that offer! When I have the website ready I will announce it here on my blog and I will appreciate all the help you can give with spreading the word about my busniness!